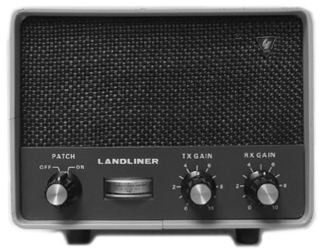 The Yaesu SP-101PB Landliner is a phone patch / speaker for the FT-101 transceiver. It provides facilities for phone patch operation as well as providing an external speaker. 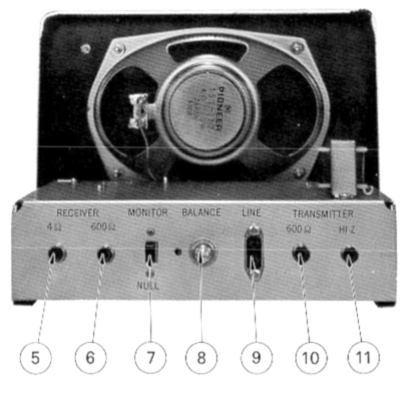 The meter shows the signal level fed to the phone line from the transceiver while receiving a signal. The TX Gain control adjusts the phone signal fed to the microphone input of the transceiver. The RX Gain control adjusts the level of the received signal fed to the phone line. Manual or VOX operation is possible. The SP-101PB rear panel connections let you easily connect the SP-101PB to your FT-101 station. Copyright 2014-2016 Universal Radio, Inc.